I own a lot of James Brown, but hands down In the Jungle Groove is the LP I grab the most, right now, when I need a JB soul joint. The word ‘funky’ only begins to describe it. Get down to these JB originals, and then check out a couple of mainstream examples of the purloined “Funky Drummer” drum break sampled in, decidedly, non hip-hop tracks. The Sinead track off her breakout LP, I Do Not Want What I Havn’t Got, has been an A.D. favorite going on fifteen years now, and probably deserves a post of its own. **You can read more about the Funky Drummer’s lineage and history via its wiki article. My understanding is that the Amen Break is the most sampled drum beat. 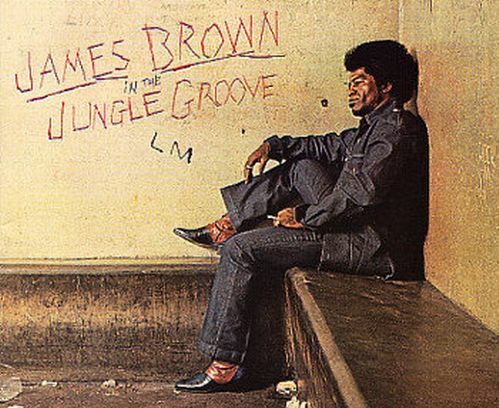 Who were the musicians backing Brown on Jungle Groove? uhh funky drummer 404 Not Found, can’t DL!!! Could you put it up again please?! ?